One of the main threats to our society today is high blood pressure. There are tons of causes of this health disparity, and unfortunately, treatments are limited to getting more exercise, eating better, and of course, taking medication. 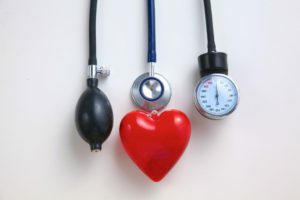 However, a lot of people seem to be wary of taking blood pressure medication out of fear of being dependent on it for the rest of their lives. So there are a lot of decisions when it comes to how to deal with this health issue. Luckily, new research has shown a positive correlation between probiotics and blood pressure being stabilized! Although some of these things are not quite under our control, such as genetics, there are many factors contributing to high blood pressure that we can. However, causes such as stress and kidney and thyroid disorders have shown to be affected by probiotics! This means that perhaps probiotics can assist in lowering blood pressure by stabilizing other systems in the body. Current research from the journal Hypertension shows that those who took probiotics had a significant decrease in blood pressure, specifically those who were pre-hypertension or hypertension. People who consumed probiotics had an average reduction in systolic numbers (the top number in a reading) of about 3.6 millimeters of mercury (mm Hg) and an average reduction in diastolic numbers (the bottom number) of about 2.4 mm Hg, compared to those who did not consume probiotics. By getting your body to a healthy state– including a healthy digestive system, immune system, and liver/kidney functions- your support all functions, both physically and mentally. It is important that you found out the cause of the increase in the pressure of blood in your body as it might be a simple fix (changing diet/exercising). As with any health issue, a doctor should always be consulted, especially if that issue is high blood pressure! 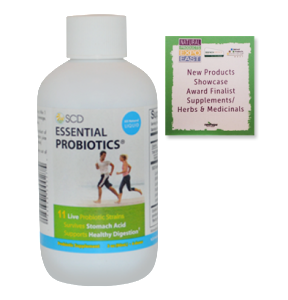 Be sure to take care of yourself, eat your veggies, exercise, and take your probiotics to support your overall health. 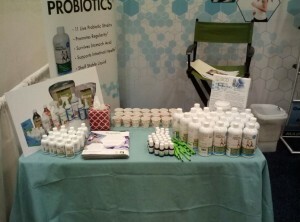 Guess What We’re Giving Away at Natural Products Expo West! If you are out of the loop, don’t worry! 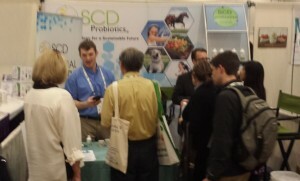 We’ll bring you up to speed about our attendance at Natural Products Expo West, the world’s largest expo for natural products. 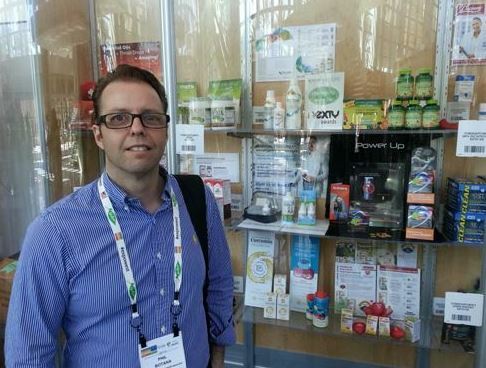 You read that right, we are attending the largest natural products expo of its kind. Pretty cool, right? We thought so, too! This year, the SCD Probiotics® team is excited to showcase some of its most exciting probiotics-based products. The good news? We are sharing a complimentary sample of SCD Essential Probiotics® with visitors who stop by our booth. So mark your calendars for March 5-7 and come find us in the Hilton Anaheim in Anaheim, California. We’ll be the ones in Booth H305 talking probiotics. 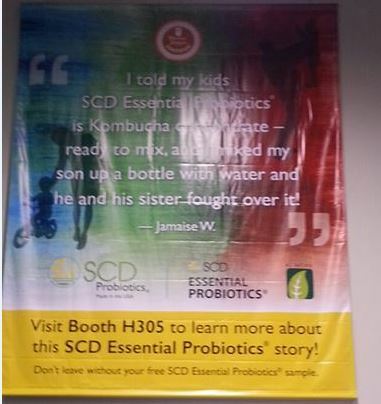 And as an added bonus, we’ll be handing out samples of SCD Essential Probiotics that are perfect for travel! With so many benefits to potentially gain, be sure you stop by to get your free sample at Natural Products Expo West. 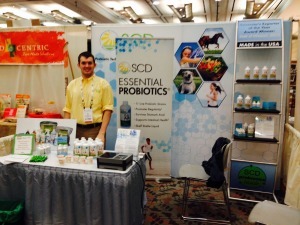 Did you miss us at 2014’s Natural Products Expo East? Not to worry! We are excited to announce that you can now find us at Expo West this March. Having been elected as a New Products Showcase Award Finalist for Supplements/Herbs & Medicinals, we are eager to get networking and educate people about our new and exciting human-health supplement. With so much to gain and a wealth of great networking opportunities ahead, we look forward to seeing you there! And don’t forget to tune in on social media, we will keep those who can’t make it fully updated.